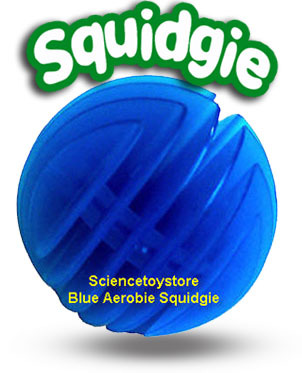 Squeeze the Aerobie Squidgie ball and you won't want to let go. 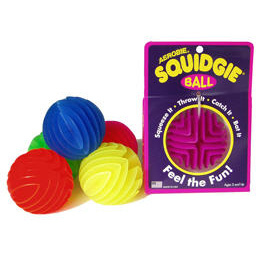 Made of soft molded rubber fins, the Squidgie ball is designed for kids as young as three but players of all ages enjoy it both indoors and outdoors. 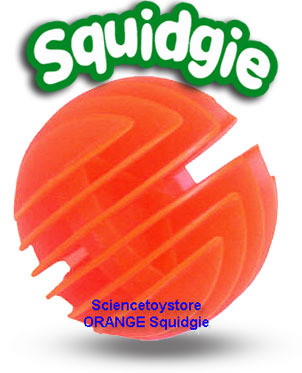 Ideal for learning to play catch. Floats in water. 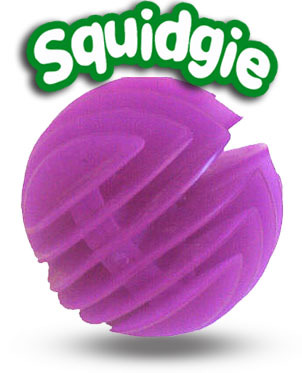 Dogs love it. 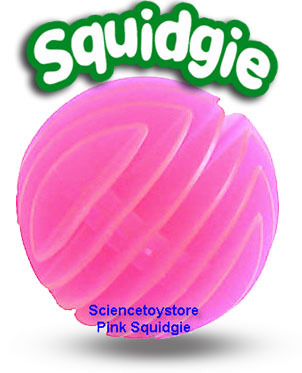 Squishy and fun - you won't want to let go Tough enough for indoor or outdoor play. 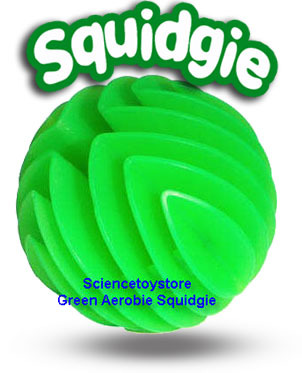 Made in the U.S.A. Ages 3 and up. 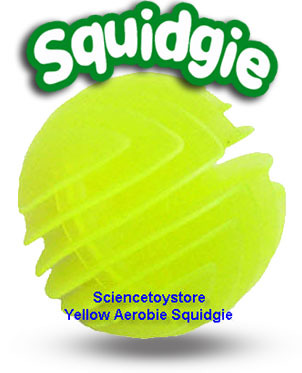 Available in yellow, blue, purple, magenta, orange, green, and glow in the dark. 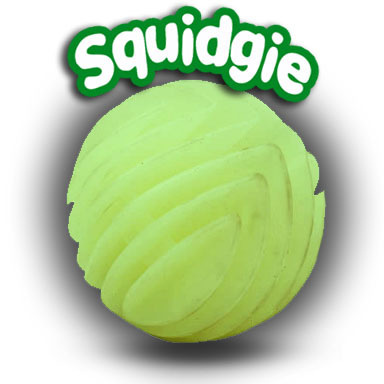 If you do not select a color, it will be chosen at random.